If you first hear that lineup, it honestly may sound like a Pro Bowl team. Okay, that may be a little bit of a stretch, but it definitely sounds like a team that would have no problem making the playoffs. The Houston Texans started the season with two wins against a couple of pretty solid teams, in the San Diego Chargers and Tennessee Titans. Since then, they’ve lost 8 consecutive games. Last season, they finished 12-4, winning the AFC South. They had no major losses during the offseason. They signed Greg Jones, a Pro Bowl fullback; Shane Lechler, arguably the best punter of all time; and Ed Reed, one of the best safeties of all time. They added WR DeAndre Hopkins and S DJ Swearinger through the draft, and they’ve both played pretty well thus far. 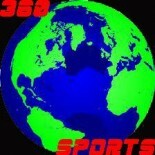 They had three major injuries to Arian Foster, Brian Cushing, and Owen Daniels. To put the Foster injury in perspective, they only lost him after Week 9, and Ben Tate, arguably the best backup RB in the league, was there to take over. Not to mention, this isn’t new considering that Foster is, in reality, always injured. Cushing missed the final 11 games of the season last year, and they succeeded in that time period, so that wasn’t as big of a loss as one would think. And Owen Daniels, who is consistently a top TE in the league, had Garrett Graham to take over for him, and Graham has been a very good player since. One may wonder why the Texans are 2-8… Well, at this point, it’s got to be the coaching. Before I get to talking about how Gary Kubiak should be fired, I’d like to take a moment to speak about a more personal matter. 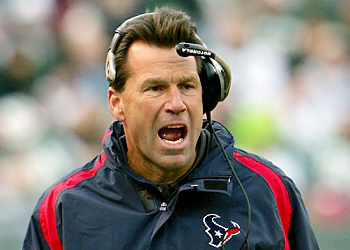 Kubiak suffered a “mini-stroke” during the Texans’ game against the Indianapolis Colts two weeks ago. He came back to coach the team today, albeit from the skybox, but he coached, no less. We’d like to say that we are thinking about Kubiak and hoping for the best. But now, unfortunately, we have to criticize Kubiak. With a team as good as the Texans (on paper), you can’t lose 8 games through 11 weeks. He also made one of the worst moves I’ve ever seen during today’s game against the Oakland Raiders. Case Keenum, who’d been playing very well for the Texans after taking Matt Schaub’s starting duties in Week 7, has been playing excellently in his short career. He threw his first interception of his career during the aforementioned Raiders game, and he also threw his 8th touchdown pass. Out of nowhere, during the third quarter of the Raiders game, Gary Kubiak benched Keenum for the veteran Matt Schaub. Let’s remember that Keenum stole Schaub’s job, largely due to the fact that Schaub threw a pick-6 in an NFL record four consecutive games. The fans at Reliant Stadium erupted into boos as Schaub entered the game. Not only did this give them a worse chance to win, as Keenum has proven to be a better quarterback, but it also messed up the chemistry. Andre Johnson, who had a great connection with Keenum, got into a heated argument with Schaub soon after he entered the game. Also, one couldn’t help but think that Keenum’s confidence took a huge hit with the benching. Due to the team’s lack of success as well as the strange decision to bench Case Keenum, the Houston Texans should undoubtedly fire Gary Kubiak at season’s end. Why wait? Kubiak is now making decisions that are destructive to the team. Before, it was ineptitude…now it is destructive. The time is now! This entry was posted on November 18, 2013 by smarkowitz1 in Analysis, NFL and tagged Andre Johnson, Arian Foster, bench case keenum, Brian Cushing, Case Keenum, fire gary kubiak, gary kubiak, Houston Texans, houston texans 2013 season, keenum schaub, Matt Schaub, Owen Daniels, raiders texans, texans roster, why are texans so bad.